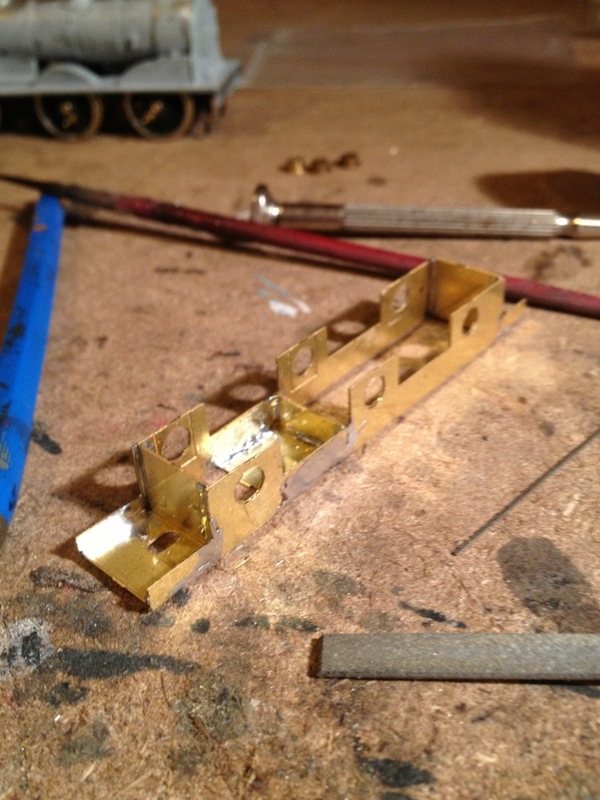 I decided to crack on with the tender underframe for the Jumbo tonight following the arrival of frames from Caley Coaches. 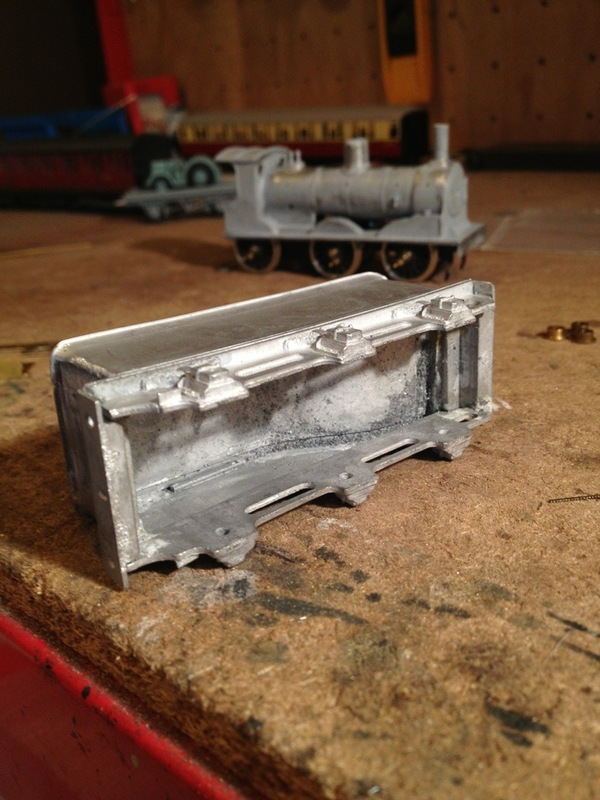 The Caley very thoughtfully settled on a standard tender chassis wheelbase during the Drummond/McIntosh/Lambie era and that means I was able to put something underneath the DJH castings. You can see the supplied arrangement in the top picture. How anyone ever produced a running model from this garbage is a matter of amazement. How the hell you solder an entire tender body together whilst installing bearings, wheelsets and ensuring overall squareness of both body and axles is utterly beyond me. To think I used to get so frustrated and blame myself for failing in these tasks! 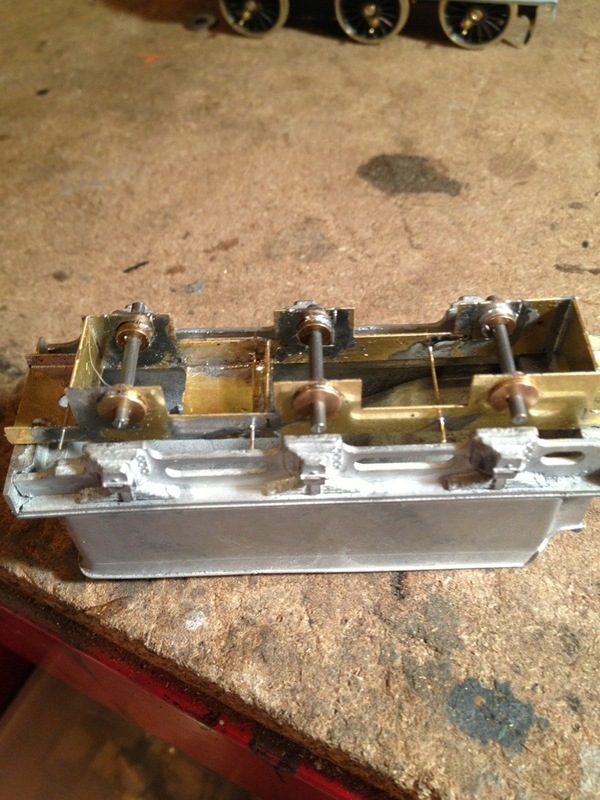 I would say most successful builds of early DJH were in spite of rather than due to the design! Anyway, that’s enough grumpiness on my part, let’s get on with our tale. 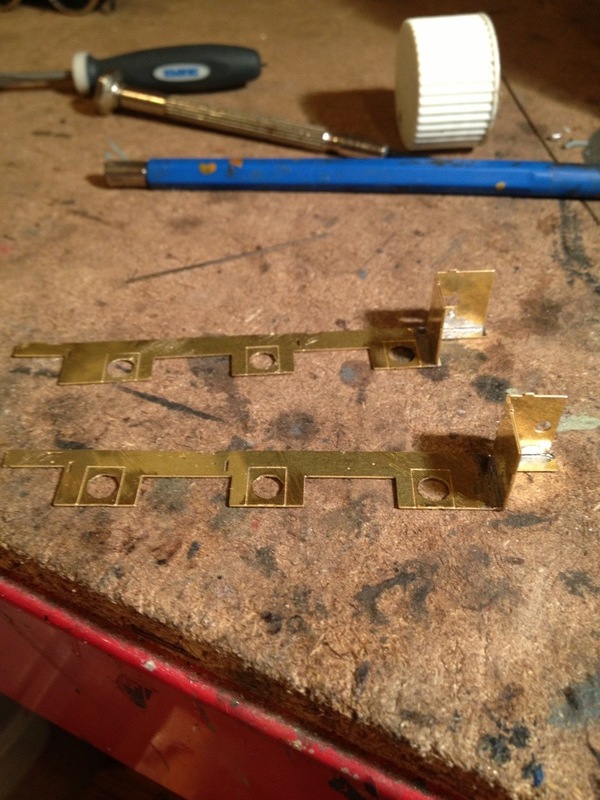 You can see that I attached a spacer to one end of each of the frames. This is a precaution to prevent any distortion through heat during assembly that might occur if I attached both spacers to one side. This creates a risk of your chassis looking like it should have a Fyffes sticker on it! Assembly was fairly straight forward, the openings for the axle bearings having been gently opened out prior to assembling the frames. 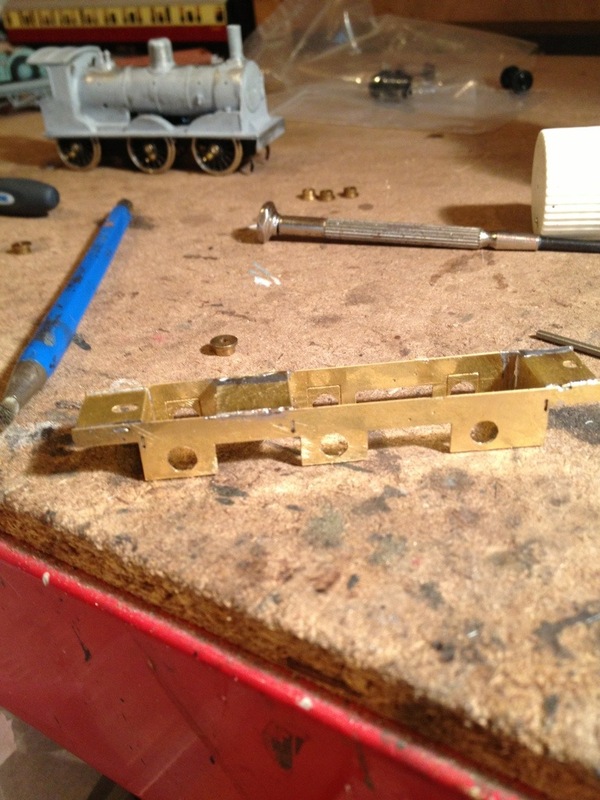 Once this was achieved, I attached the bearings using axles to check squareness. 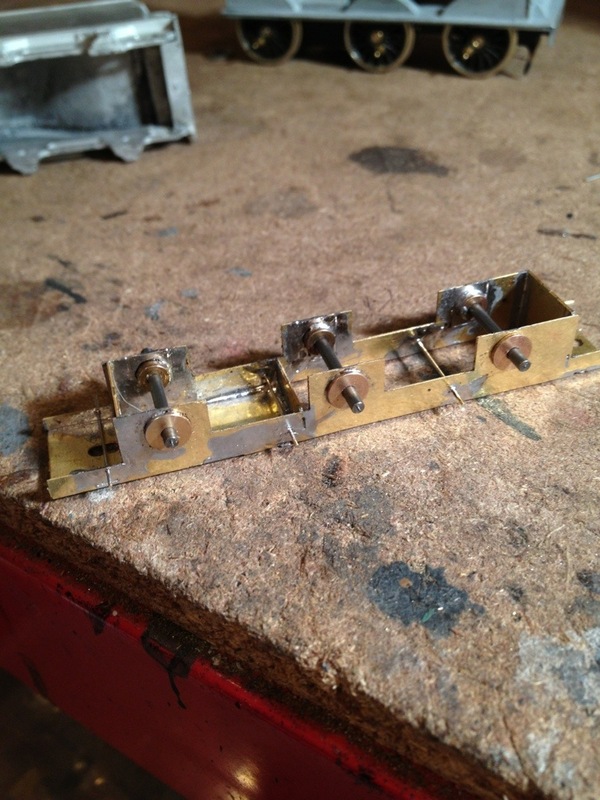 Lastly this evening I attached the transverse rods for mounting the brake gear. There we have to bring the job to a close for now as I need to order correct 4′ diameter wheels for the loco and also some Carrs Brown Label flux for the stainless steel coupling rods on the loco. One thing’s sure, I’m going to have to cut the frame ends short and carry out some substantial surgery to the lower body ends on the tender in order to mount these frames at the correct height! Once that’s done to satisfaction I will add a false floor for the purposes of mounting the chassis to the body. Not Mission Impossible by any means but care will certainly be required!